Wearing a Glass in everyday life can create some unintended consequences. 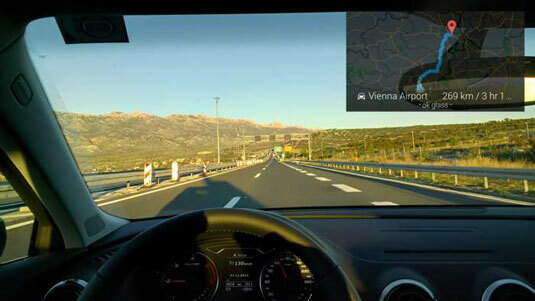 One shining example occurred in late October 2013, when a driver in California was cited for wearing her Google Glass while driving. According to the citation, she was violating a state law that requires people not to drive a vehicle equipped with a monitor unless it displays “global mapping displays, external media player (MP3), or satellite radio information.” The driver fought the ticket, however, because she didn’t have her Glass turned on at the time, and the officer couldn’t prove otherwise. In early 2014, a judge in traffic court agreed with the driver. The charges were thrown out because there was no evidence beyond a reasonable doubt that her Glass was turned on at the time. Though this episode had a happy ending, it also illustrates the brave new world that we’re entering with wearable computers and acts as a reminder that (as with any piece of technology) a set of unwritten etiquette rules comes with your Glass.